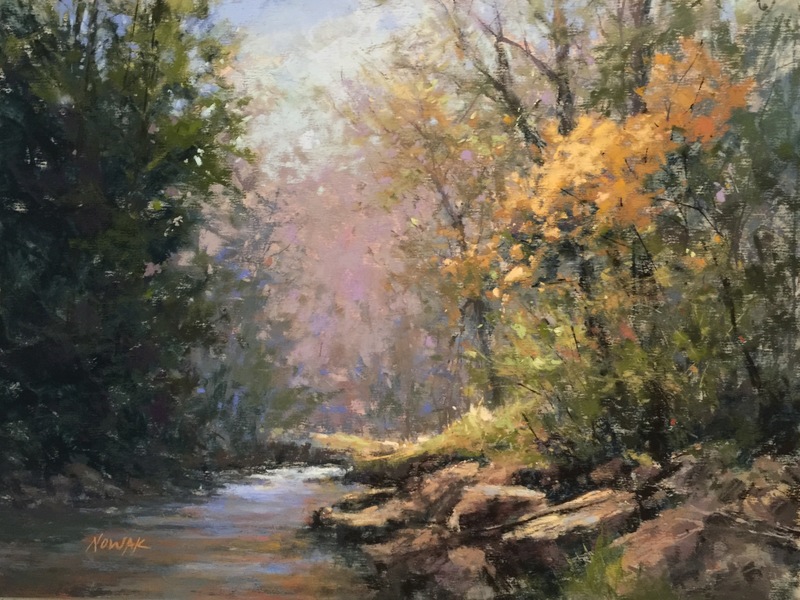 The Appalachian Pastel Society, located in the Asheville, NC area, invited me to give a painting demonstration this past Saturday morning and instruct an afternoon workshop. Situated in the Blue Ridge Mountains, the Asheville area is so beautiful with it’s panoramic vistas. My main focus for the demo was Painting Preparation. It would be such a time saver if we could just pick out a scene and paint it without any forethought, plan or objective. I guess we could do that but then after getting half way through, you will probably be plagued with lack of direction, composition problems or incorrect values. Just as the building of a structurally sound house needs a blueprint, an organized layout and a strong foundation, so does a painting. 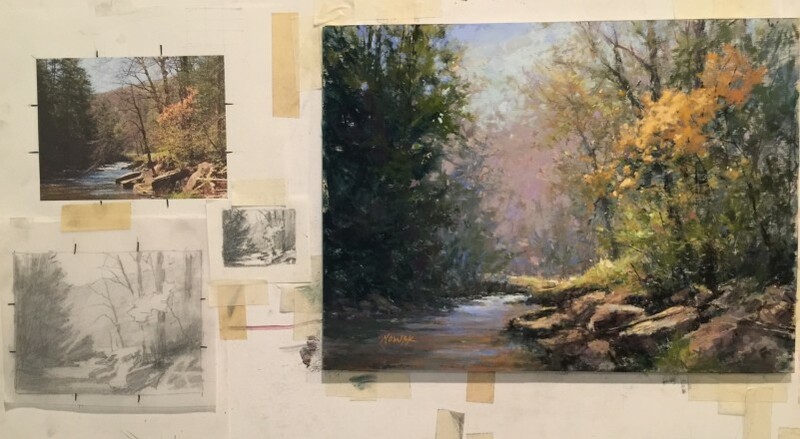 I find taking particular time to study your painting reference, having an intention of what kind of visual story you want to tell, working out a composition, simplifying the scene down to various and interesting abstract shapes through a value study is imperative to creating a better painting. Actually, all this upfront time will make your painting time flow easier and quicker for issues will be resolved before you even begin to paint. Unfortunately, I was so busy instructing, I forgot to take photos. Thanks to Kitty Williams (program chair), Sparky Nelson (president), and Suzy Hart for filming my demo on a big screen for all to see. It was such a pleasure and delight to be with such a great group! Just an absolutely stunning piece! My, my, what a true talent. Nancy, this is stunning. Wish that you could teach a workshop at the PSA here in New York. 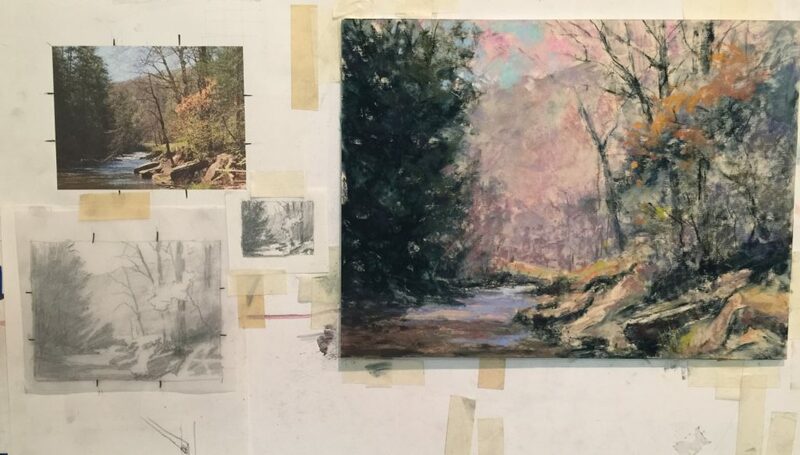 Thank you for the very informative class at the Appalachian Pastel Society. You are a truly gifted artist and wonderful instructor. Thanks also for sharing the finished painting–it is breathtaking! I really feel that your workshop brought my landscape painting ability up several notches! I really hope to be able to come over your way for some private or group sessions!